I’m in a remote Peruvian village in the Sacred Valley, deep in the heart of the Inca world. Surrounded by mist-shrouded mountains and cobalt blue lakes, agrarian rhythms define life here, just as they have for centuries. I feel as far off the beaten track as I can possibly get. I’m spending the afternoon with the women of the village. Traditionally dressed with their long black hair in precise plaits, it’s as if time has stood still. They are weaving experts, using the same techniques, materials, natural dyes and patterns that their ancestors have for generations. They have recently formed a weaving association in an effort to provide community development through sales and teaching. They tell me their names and ages and I am surprised to learn that most of them are not yet 40 years old. They work in the open air, their faces lined with deep wrinkles, their skin leathery from the proximity to the harsh sun that high altitude exposes them to. 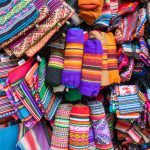 They are shy yet genuinely hospitable, happy to patiently show me just how much effort and energy goes into the intricate process of creating their boldly beautiful textiles. I feel incredibly privileged to be spending time with them. 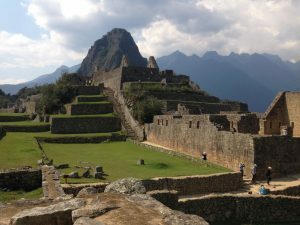 Visitors from around the globe flock to this corner of Peru to gaze at majestic Machu Picchu, hear the indigenous Quechua language and stroll the charming cobblestone streets of Colonial Cusco. Wanderlust has brought me here to do all these things too, but that’s not all I want. I crave meaningful encounters with locals to deepen my understanding of this ancient, still-vibrant culture. Sure, it’s easy to hire a guide outside the entrance to Machu Picchu, but I want bona fide interactions with those who call the Inca Heartland home. 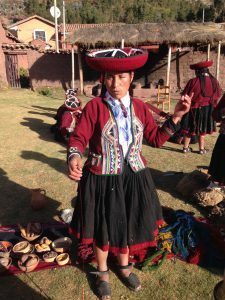 Like many travelers, I believe that by connecting with local people, my trip will be transformed from merely a vacation to a window shedding light on the Inca soul. I booked my trip with Kuoda Travel, a locally owned, family operated tour company. Owner and founder Mery Calderon is 100% hands-on. 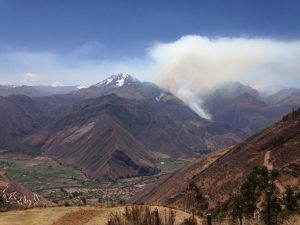 Kouda provides personalized, private tours of Peru and are now branching into neighboring Ecuador and Bolivia, with great success. They know the destination like the back of their hand and offer constant support. Before your trip begins, you will work with a personal travel designer, who you will communicate with on the phone and via e-mail. Each travel designer has extensive tourism and hospitality industry experience, as well as the adventure-seeking spirit needed to create unique and interesting itineraries. The travel designer will scope out your likes and dislikes, special areas of interest and find out exactly what experiences would make the trip truly memorable for you. 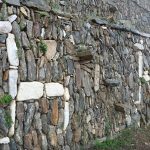 If you’ve ever been on a guided group tour where you and your many travel mates share one guide who herds you around in a bus to all the sights like a flock of sheep, this is not what you can expect from Kuoda. Your itinerary will be customized to your specific needs and interests, just as mine was. Want to learn about Peru’s blossoming craft beer scene and dive in to its delicious fusion cuisine? Interested in an active adventure holiday, where you’ll be taken to Peru’s best surf spots? Interested in viewing the country’s spectacular flora and fauna? No problem, Kuoda will custom craft an individualized trip for you. 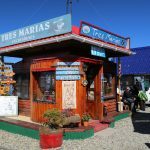 Kuoda finds hotels, guides, transportation within South America, restaurant reservations, activities, adventures and experiences with locals that will give you a deeper understanding of this country and its people. It’s all highly personalized with assistance at every turn. If you desire a guide who is with you every step of the journey, you’ll get a local expert. Kuoda works with an impressive network of more than 80 respected guides, drivers, historians, chefs and other experts, who together provide an unforgettable vacation experience. 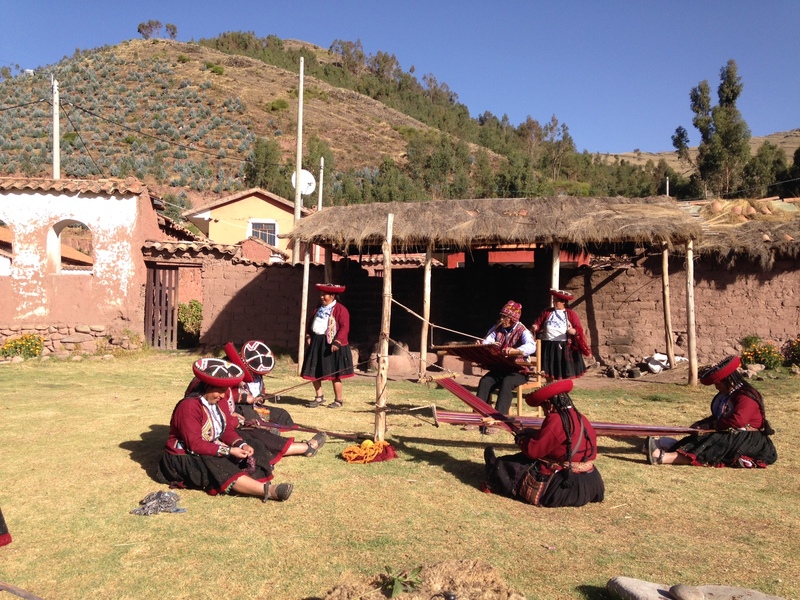 My family and I arrived in Cusco and were met by a Kuoda team member. The hospitality was genuine and we immediately felt as if we had friends in Peru, though in reality we knew not a soul. As a former teacher, I wanted to get an up-close view of the Peruvian education system. 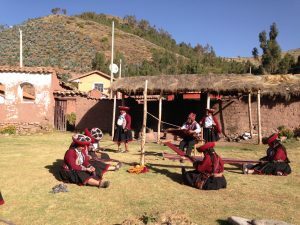 My Kuoda guide, Santiago, took me to the rural Sacred Valley village where I met the women weavers as well as their children, many of whom attend an after-school program as their mothers work. Kuoda sponsors this mixed-age academic enrichment program. It provides school supplies, homework help and encouragement to stay in school. Julio, the dedicated teacher, puts his heart and soul into teaching the children life and academic skills. 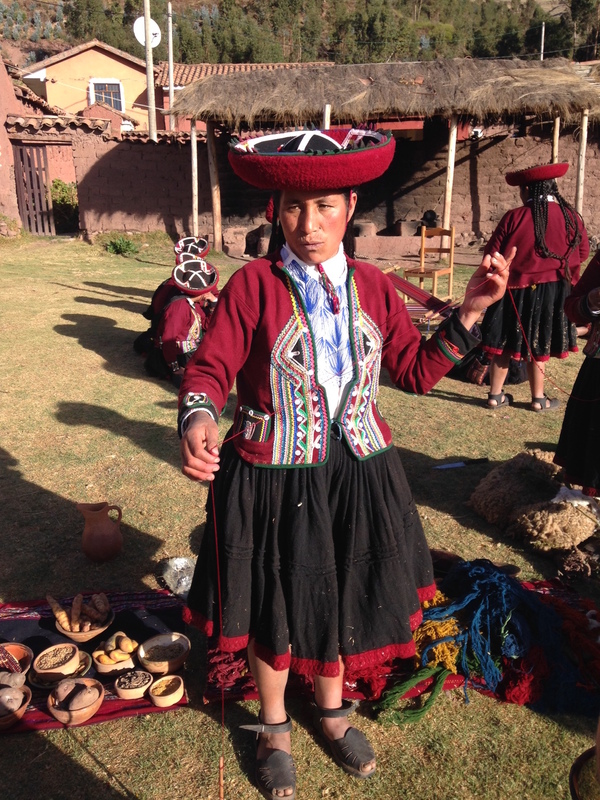 The experience allowed me to reach deeper into the Andean culture and experience its people. What does one say about a sight so extraordinary that it leaves you speechless? We rode the Vistadome train followed by a short and steep bus ride to Machu Picchu’s entrance. The lost city of the Inca’s is one of the most spectacular sites in the world. The fine craftsmanship is remarkably well preserved. The Temple of the Sun, thought to have been an astral observatory, is considered to have the most impressive stonework, but the entire place is out of this world. Our guide, Santiago, was with us throughout the day. 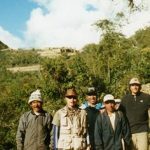 He shared his knowledge of the ancient site with us, as well as his practical tips for dealing with the high altitude. 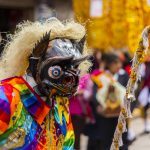 Cusco effortlessly blends Andean and Colonial Spanish cultures. As you stroll its streets, you’ll see cosmopolitan locals dressed in modern High Street fashions as well as those in traditional dress. You’re as likely to hear Quechua as Spanish. Cusco’s stunning main square, the Plaza de Armas, is where you’ll find its famed Cathedral. The Cathedral demonstrates that while Colonial culture permeated the town, indigenous influences were not totally erased. Art and décor blends traditional religious themes with a dash of Inca flair. Notice the devotional paintings display Andean colors, shapes and mood. A prime example of this fusion is The Last Supper, by Marcos Zapata. Christ and his disciples are seated at the dining table eating a traditional Andean meal of roast guinea pig. Explore just slightly beyond the Plaza de Armas and you’ll be in its hipster heart, San Blas. Art galleries and studios abound. Kuoda booked me into a fabulous hotel, the Aranwa Cusco Boutique Hotel, just steps from all the city’s best attractions. The hotel is located in a 16th century mansion so I felt transported to that time period. It’s incredibly elegant and service was stellar. For added eye candy, over 300 works of art are housed here, so it’s a visual joyride. Wow! This is very enchanting. 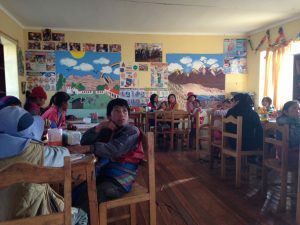 It reminds me of my trip to Bolivia several decades ago and of our interactions with the local Aymara there – especially hearing that language, as well as Quechua, on the street. I always got a kick out of asking my fluent-in-Spanish hosts what people were saying and getting the reply, “Don’t know – that’s definitely not Spanish”! Thank you for reading this, Rich. I would love visit Bolivia, I hear wonderful things about it. 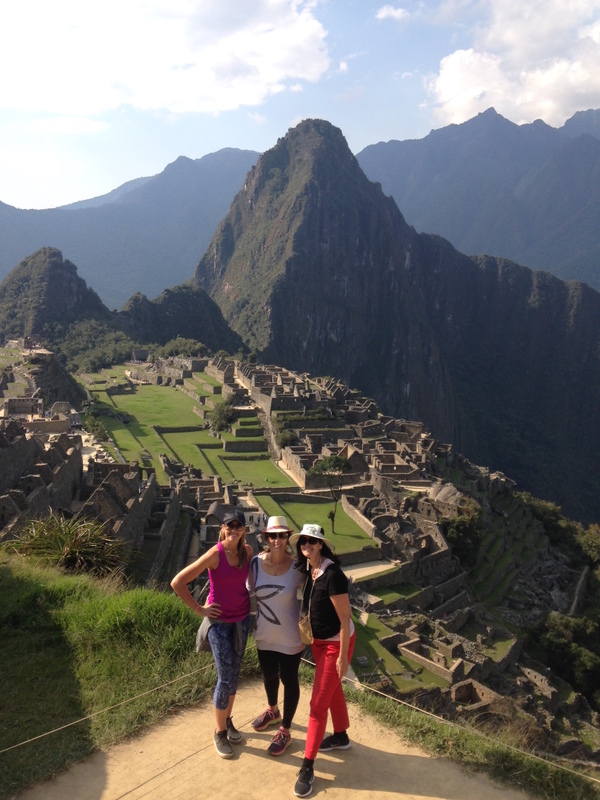 I had an amazing time in Peru–the sites, the people, the sounds, the food. Again, thanks for reading!